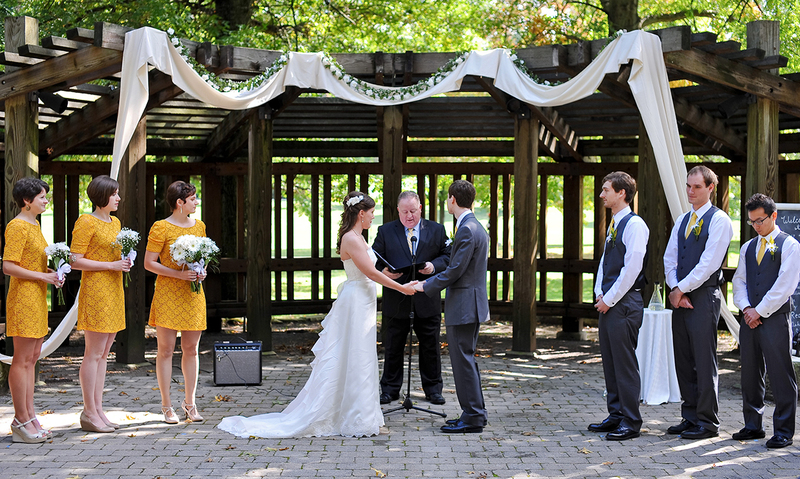 Katie and Andrew grew up in Ohio and went to the same college, but they wouldn't meet until a serendipitous visit to Chicago. 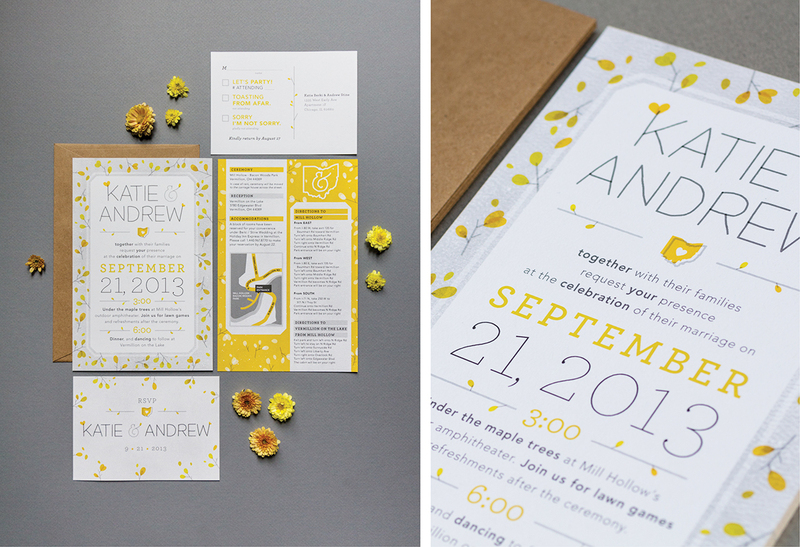 They knew that their home state and the windy city that brought them together should be celebrated in the wedding materials. 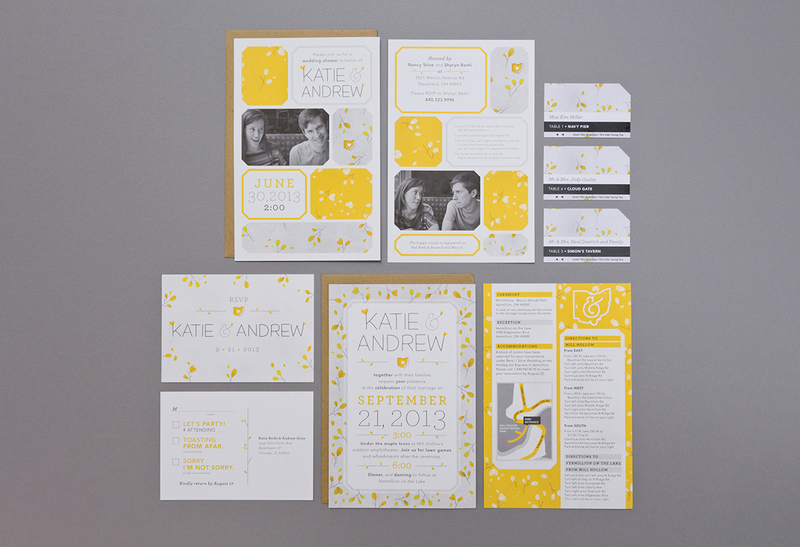 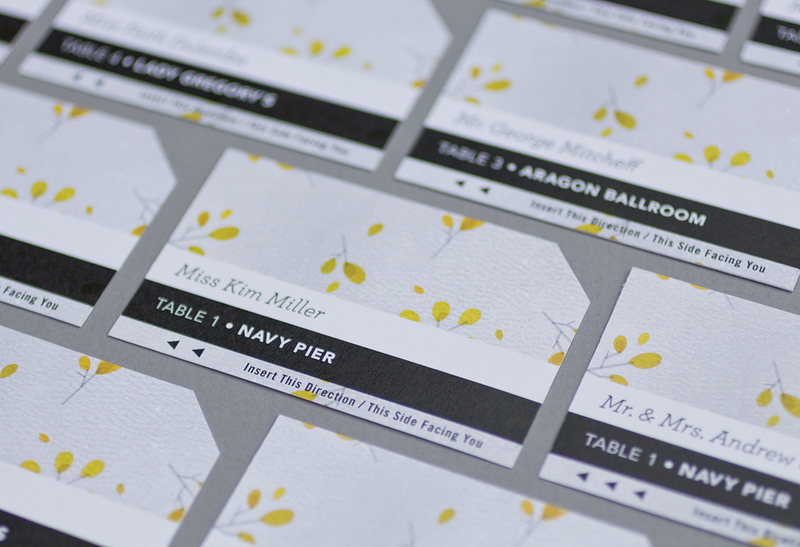 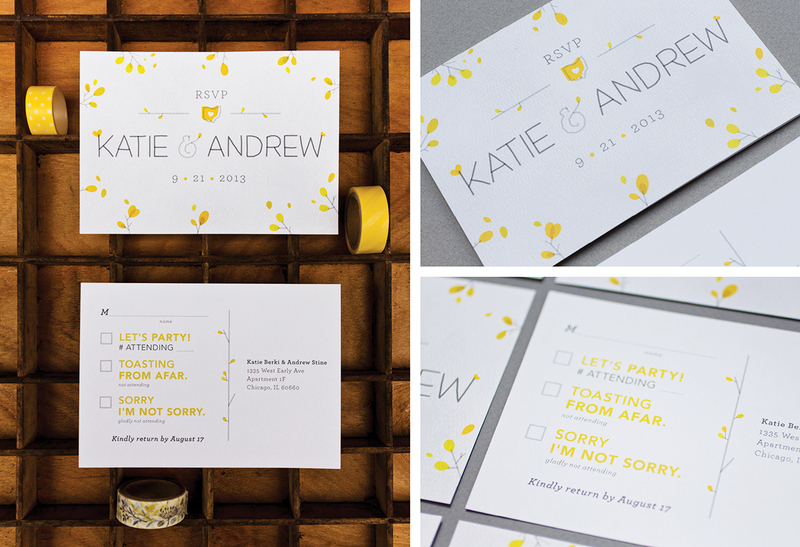 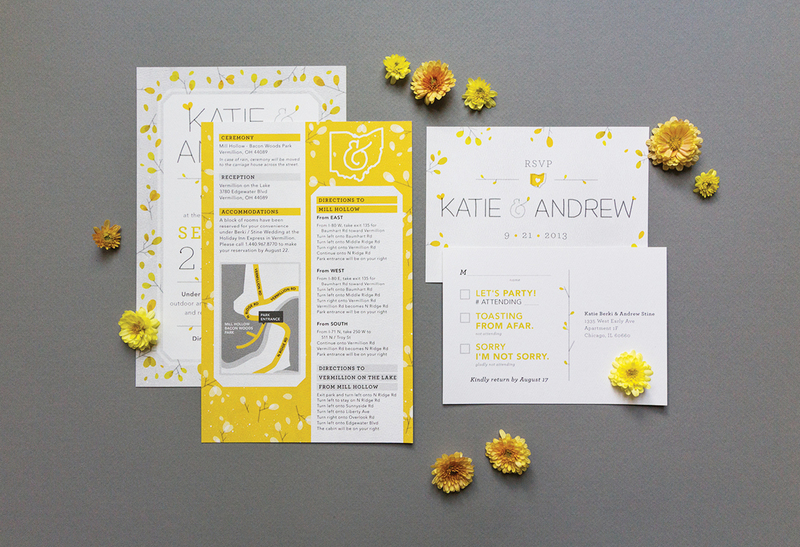 The couple had an outdoor, early autumn wedding with goldenrod and gray for their colors. 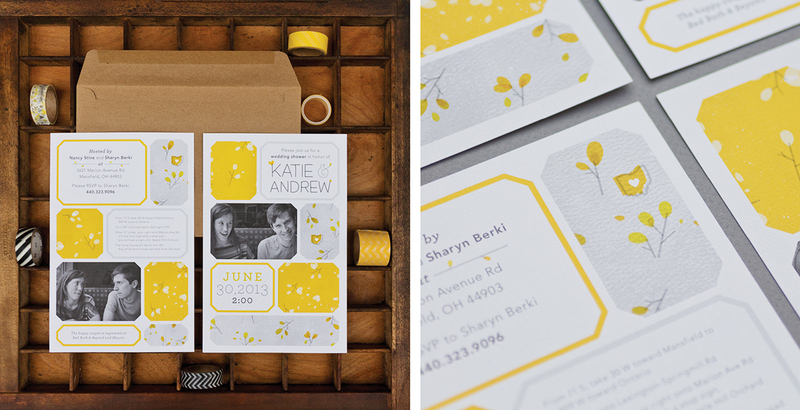 I created a leafy pattern and custom, twig-like type to evoke the natural setting. 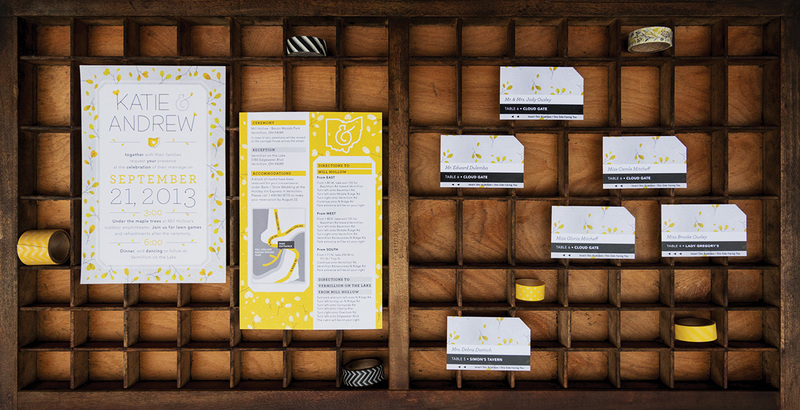 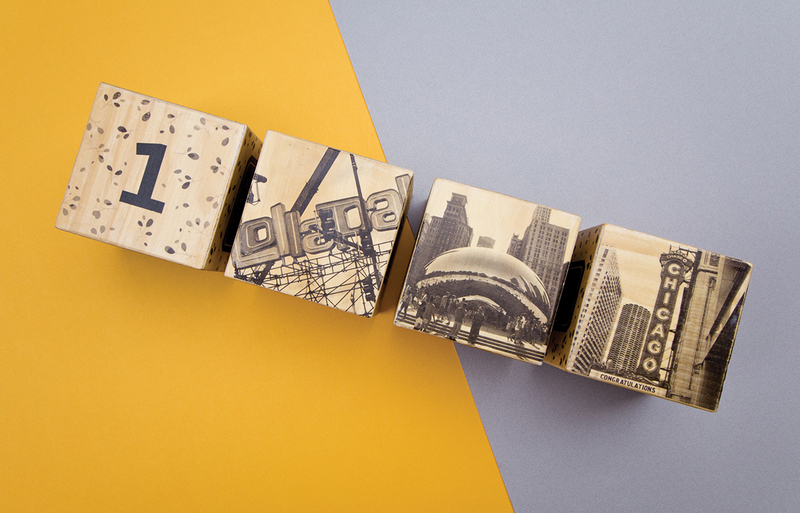 The Chicago L was the inspiration for the place cards. 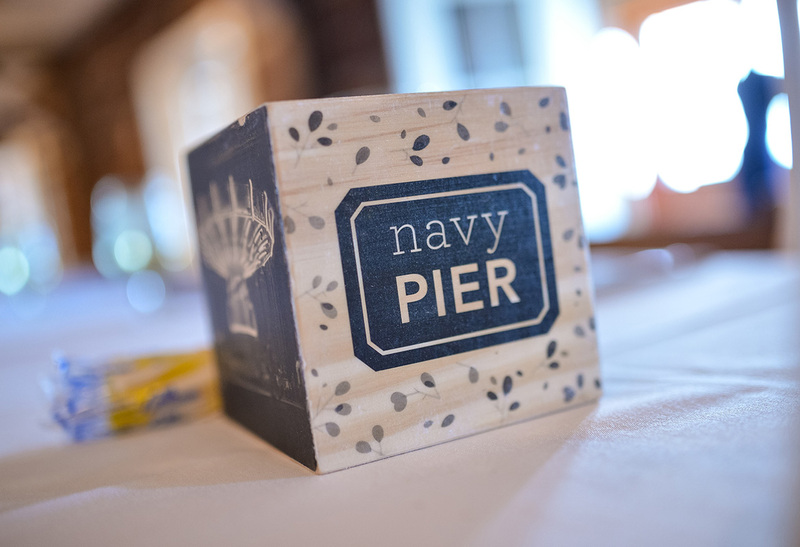 Table number imagery was hand transferred to wooden blocks and featured different locations in Chicago that had meaning for Katie and Andrew.